Daily stress has a terrible tendency to manifest in a very real way. When we think about stress, we think about that deadline we need to meet, the meeting we forgot to prepare for, or how late we are going to be while driving during rush hour. Describing the source of our stress or saying “I’ve just been so stressed lately”, becomes what we think stress is. Too often what stress does somehow slips away from us. It is easy to forget that stress does more than just make you experience a wave of emotions, whether it be anxiety, nervousness, frustration or anger. Without realizing it, stress can present physically as a force contracting our muscles, generally in the upper back, shoulders, neck and through the jaw and head. By the time you have a second to look up from your computer screen and take a breath, hours have passed and your shoulders have somehow managed to find their way up to your ears with your jaw steadily clenched in a determined focus. 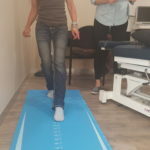 The prolonged muscle contractions not only shorten the muscle length which can cause spasms and seizing of the muscle bellies sending pressure through the joints, but they also are a cause of increased fatigue. The most common cause of complaint however is pain. A pulling, aching pain which can be a result of the prolonged muscle contractions pulling your joints out of alignment. 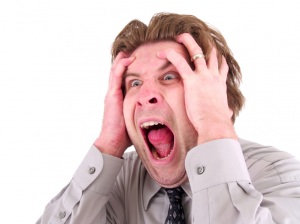 Stress can also manifest as an irritating headache often associated with fatigue. 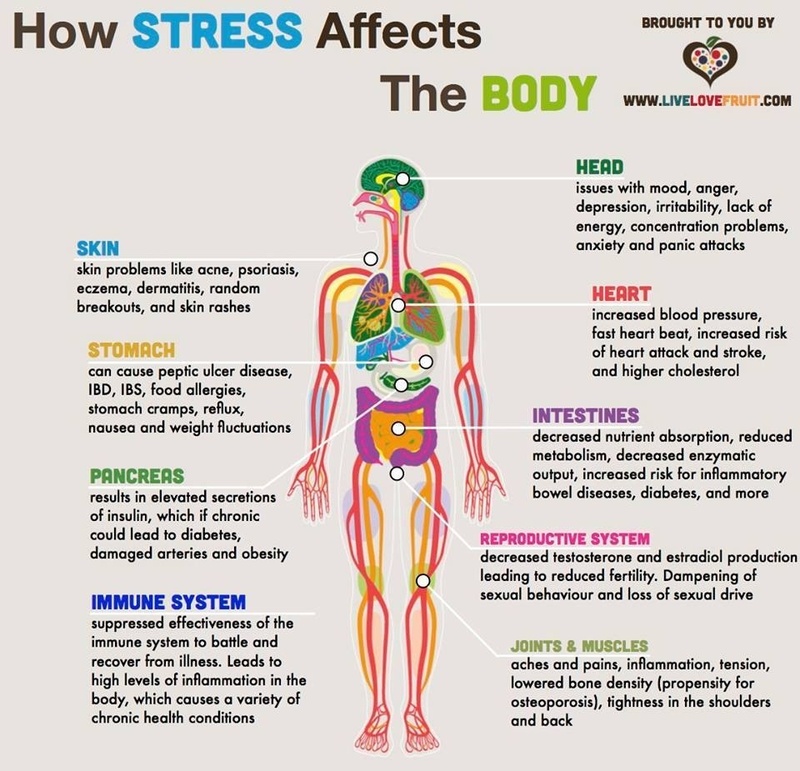 Some stress can be useful as it is one of the body’s amazing defence systems. It is essentially our body’s reaction to a harmful stimulus. Stress is what causes an increase in heart rate and blood pressure, our breath rate to quicken, immune and digestive systems to slow and our muscles to tense in alertness preparing us for “fight or flight”. While these are all great natural reflexes under certain circumstances, in our busy day to day lives it can become more of a harm than a help. Becoming a source of pain and anxiety rather than a source of welcomed defence. Unfortunately we are not able to out run a meeting or physically fight off a deadline so where does that leave us? Instead of lashing out with irrational anger or curling up in a sobbing ball waiting for the overwhelming migraine to hit, we can learn to harness our stress and take control of its effects. Decrease your heart rate – Breath deeply when you start to feel overwhelmed it will open up your chest stretching your trunk decreasing your heart rate and lowering your blood pressure with a calming effect. Refocus your energy – Bring your thoughts back to the present by taking a moment to yourself, whether it be through mediation or simply having a coffee break and sitting outside on a beautiful day. Allow yourself to accept that there is nothing you can change about the past, you can’t get those hours of procastination back, all you can do is focus on each step forward and make them count. Tackle one task at a time and eventually it will all get done. Get it off your chest – Talking through stressful situations with friends can help diffuse built up emotions which tigger the stress response. Getting feelings of frustration off your chest alleviates some of the tension allowing your muscles to relax. 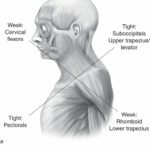 Stretching – Lengthening your muscles, particularly head, shoulders and upper torso helps break up the congested fibres that lead to aches, pains and potential skeletal mal-alignment. Releasing the physical tension will immediately diffuse stressful triggers relaxing your mind and body. Exercise – Incorporating some form of exercise will amp up your energy levels, increase your metabolism and release endorphins which which make us feel happy, healthy and accomplished. Regaining control of our stress response and overcoming stress stimuli is empowering and beneficial to our health. 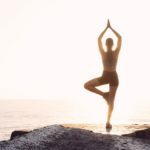 Reducing the amount of stress we experience through these 5 quick simple tips can make all the difference in the world when it comes to dealing with our busy schedules. Short term stress management can prevent big problems in the future. If you have any questions or concerns about how to handle stress contact the Hands on Health Care Clinic for an appointment today – call 9949 3017! 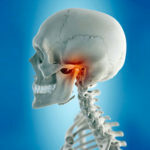 Jaw Pain – Painful TMJ ruining your day? 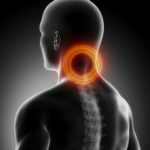 Text Neck – What is your smartphone doing to your spine?